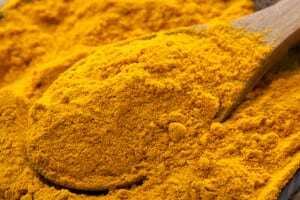 Turmeric is a spice derived from Asia, also referred to as Curcumin, and is used as a protective agent for numerous diseases and health issues. This includes dry eye symptoms! 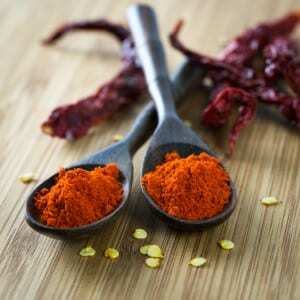 In a small saucepan warm together almond milk, ½ tsp cinnamon, 1/8 tsp cloves, and one tsp of turmeric. Whisk in a dollop of raw honey to finish it off, and you have a delicious (and inventive) way of incorporating turmeric into daily diets. An extremely high concentration of Vitamin A is found in Paprika, which makes it an excellent spice for warding off symptoms of dry eye. This ingredient is extremely versatile and, under many circumstances, most people already have it in their kitchens somewhere. Try experimenting with this spice next time you’re cooking. Not only is it an excellent flavor booster, but it is nutritious. You can also sprinkling it onto chicken, eggs, fish, and potato salads. 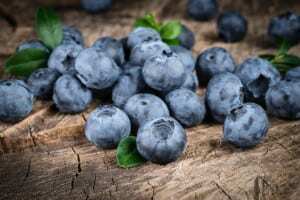 For those who have never heard of bilberry, it is a shrub that is closely related to blueberries. Bilberries are an excellent option that promotes overall health for eyes, as well as other retinal diseases including macular degeneration. Of particular benefit, it also relieves itchy, dry eyes. Extractions taken from bilberries are helpful for the improvement of oxygen supply, blood circulation, and the function of tear glands. Also, citron and Vitamin P is contained within bilberries, both of which are inflammatories; a common trigger for dry eyes. Bilberries are found in supplemental form or tea that is made from the shrub’s leaves. It’s important not to have too much, though. Do not ingest more than 220 mg on a daily basis. For those who are experiencing stinging, itchy eyes and are tempted to rub them, try using a spearmint eyewash to find relief instead. All you have to do is boil between 10 and 12 spearmint leaves in clear water. Cool down the water for about twenty minutes, and then use a clean washcloth to apply the water to your eyes. 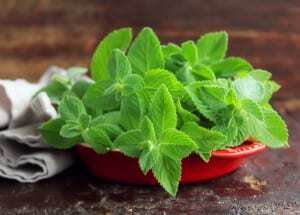 The active ingredient in mint, menthol, is what will stimulate the tear production in your eyes naturally. This will leave your eyes feeling refreshed and energized. Also, it’s a win-win because it smells amazing. 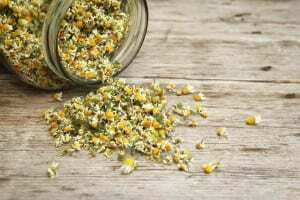 The inflammatory and cooling properties of chamomile have made it a kitchen staple for generations. Not only does it return moisture to eyes, but it will also help soothe tired eyes. An additional bonus for chamomile is drinking it will help relax you at the end of the day and prepare you for sleep following a long day. Additional potential dry eye relief remedies include calendula, fennel, marigold, and thyme. As with any use of herbal remedies or use of spices, it’s a good idea to consult your doctor prior to beginning a daily or routine.